When you buy a franchise, you are getting an established brand with a proven business model that provides sales and marketing collateral. In the tool distribution business these costs include things like franchise fees, starting inventory, and truck leases, but the most misunderstood principal behind start-up cost is cost out of pocket vs total investment cost. In short, start-up cost is money out of pocket. To get started as a mobile tool distributor, there is an initial cash outlay that is typically very reasonable. This covers costs that enable you to get your business up and going. For perspective, a franchise with low startup costs can range anywhere between $10k to $35k out of pocket. 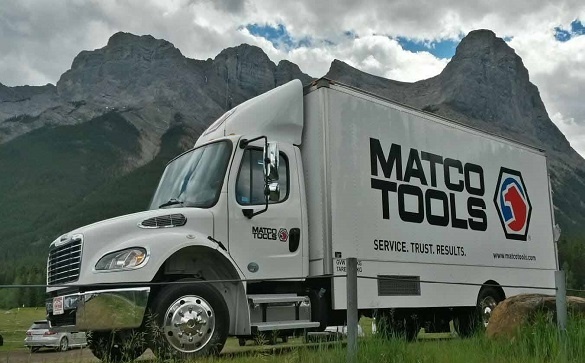 Matco Tools franchise startup costs are used for travel to our training facility and corporate office in Ohio, a down payment on your tool truck, and payment for truck insurance. “I have enough money in the bank to cover initial startup costs, do I get a franchise?” Not necessarily. In many cases (especially in households with single income earners), those who are interested in starting a franchise will need to quit their job prior to being out on a route selling tools. This means that in addition to being able to cover start-up costs, new franchisees need to be able to cover their living expenses until their new business can generate enough revenue to repay them. Living expenses is the estimated amount of money you need in the bank to live your life while the new franchise is in its early stages. Included in the living expenses are staples like food, cars, mortgage, and utilities. At Matco Tools, proper budgeting for living necessities is taken very seriously. Matco avoids awarding a new franchise if it will financially constrain you. In many cases, the living expense estimate is more than what new franchisees will spend. If you qualify for a Matco Tools franchise, you will be partnered with a seasoned Franchise Specialist to help walk you through this process and create a realistic business plan and budget. The amount of money you will need to come out of your pocket can vary based on numerous factors, including your financing options. As with any business purchase, you will more than likely need to finance your business with a loan. To be considered for a Matco franchise, you need to have enough funds to cover both start-up costs and living expenses. After you get on the road, your business will begin to recoup your long-term investment (truck loan, inventory, etc.) as well as earn income and profit. The total cost of a franchise ($100k hypothetical example above) is larger than the amount of money you need to come up with to start a tool franchise ($10k hypothetical out of pocket example above). The time it takes to repay your loan ($90k hypothetical loan amount example above) can vary based on other factors like business performance and monthly payment. Disclaimer: Any numbers provided in this post are hypothetical numbers and do not represent actual Matco Tools franchise costs. Each person’s financial situation is unique and franchise investment requirements vary based on your personal budget, amount financed, and equipment needs. Many people dream of owning their own business. They want to make their own decisions, take time off when they want to, and have greater control over their income. Owning a Matco Tools franchise can make this dream achievable. You can work for yourself but not by yourself. Matco does offer in-house financing that can help to cover up to 100% of start-up costs if you qualify. Plus, you have the potential to keep more money in your pocket while having greater flexibility. By understanding the Matco franchise cost and expenses upfront, you can plan for success and hit the ground running in the tool business.